A native oak, umbrellas and pergola shade the dining patio from direct sun. The area stays cool all day and helps reduce the energy needs of adjacent indoor spaces. 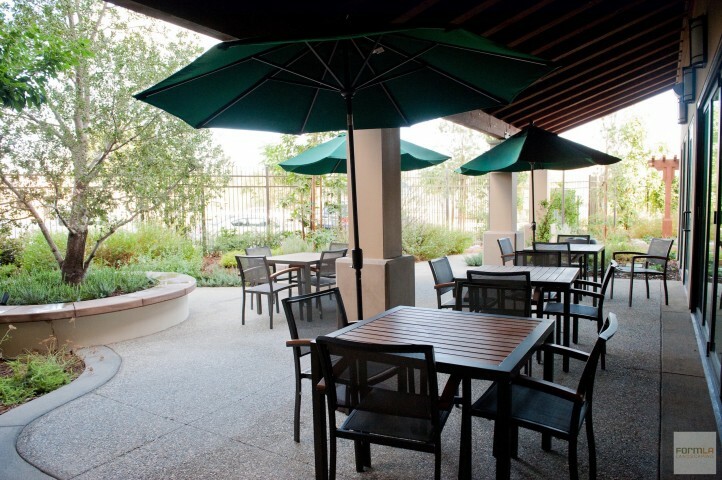 The outdoor dining space is an extension of the big indoor recreational room. The doors can be opened to create and indoor-outdoor environment.